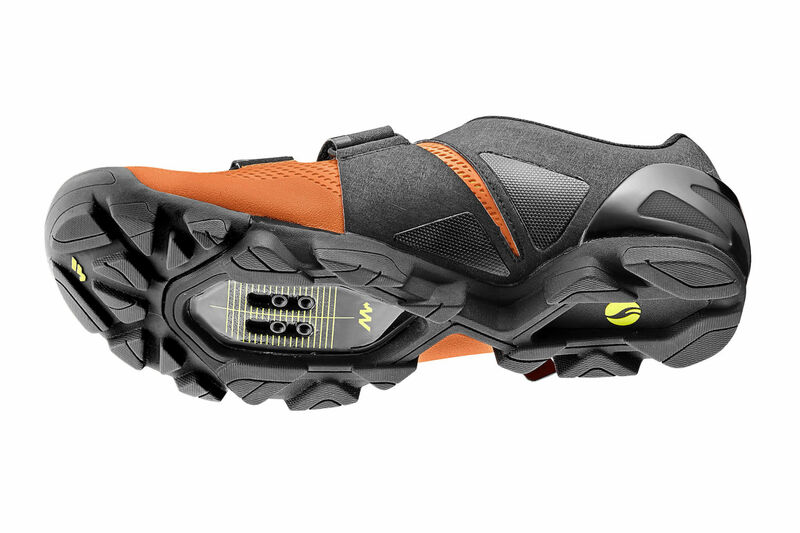 Whether you're trying to tackle new terrain, climb farther and faster, or shave seconds on a weekend enduro stage, the all-new Flow gives you the comfort and performance to keep it pinned on your off-road adventures. 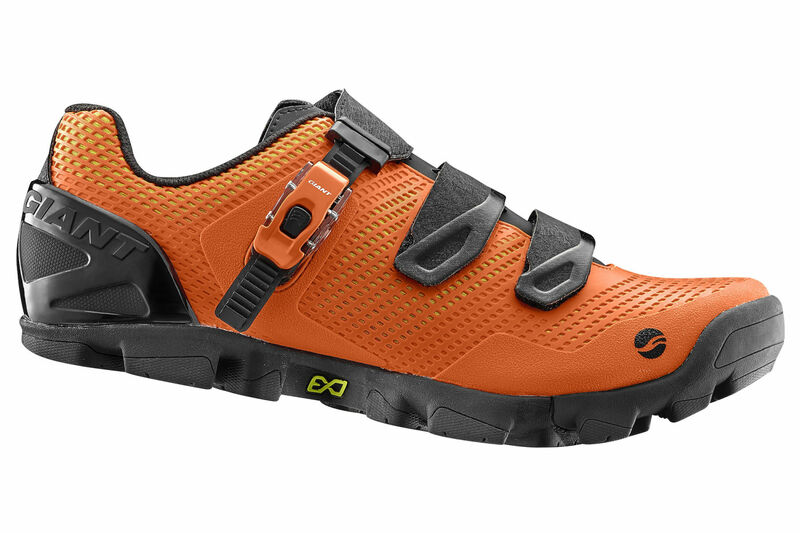 Built on Giant's unique Motion Efficiency System, the all-new Flow features the ExoBeam sole, ExoWrap enclosure and an ExoFlex zone in the toe area. 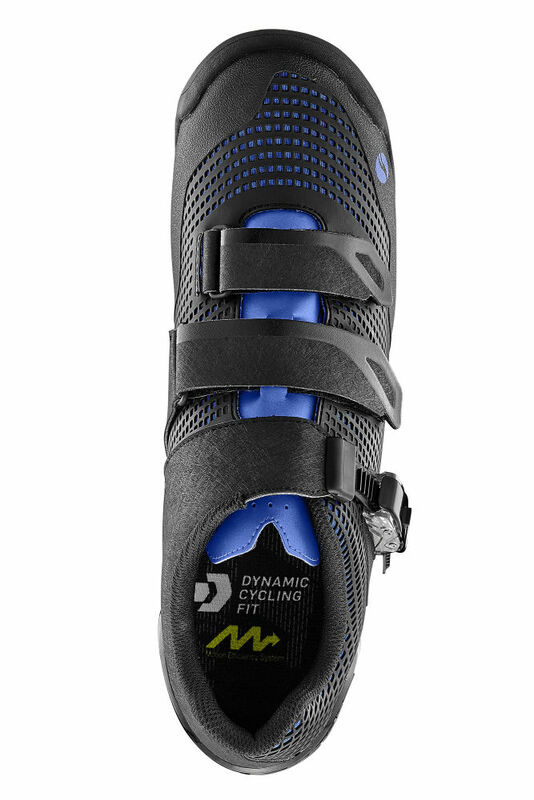 Unique composite sole technology combines stiffness in the forefoot, where most of a rider’s power is applied, with strategically engineered flex to reduce tension and strain in the lower leg. 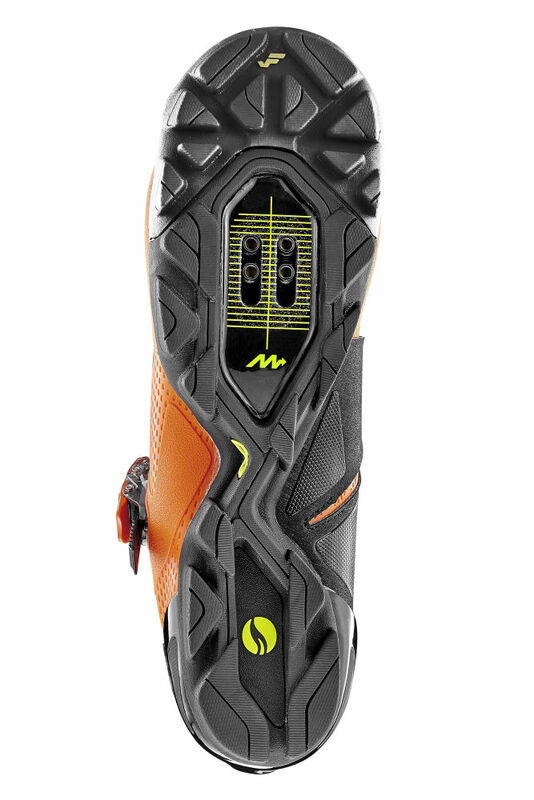 The result is enhanced power transfer, a more precise fit, and optimized efficiency. 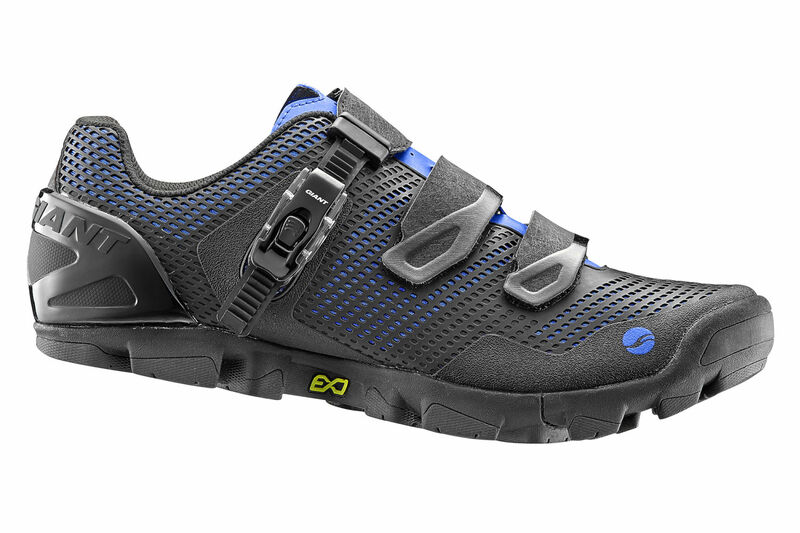 Works in harmony with the ExoBeam to produce a unique 360-degree foot enclosure for a fit that feels customized. 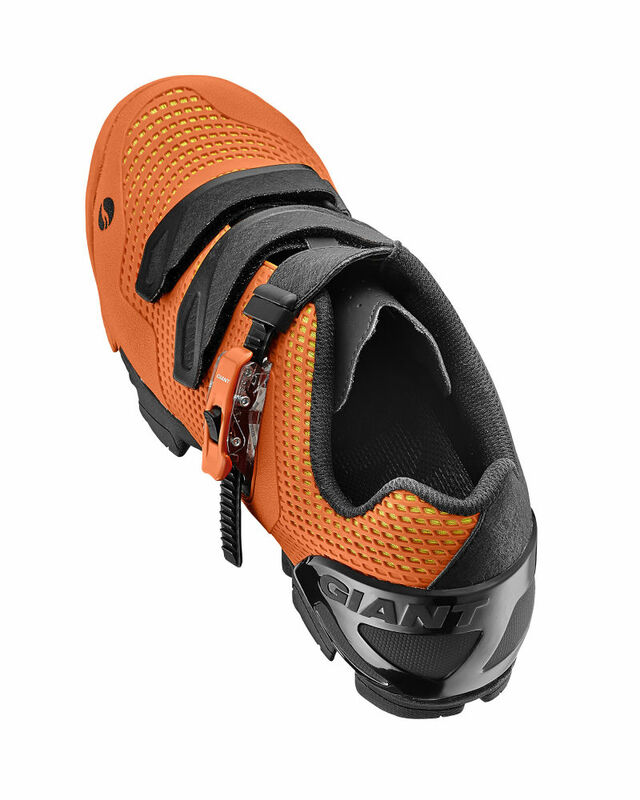 The design optimizes foot support by pulling up on the arch, which helps improve power transfer, comfort and efficiency. 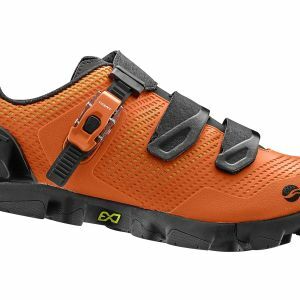 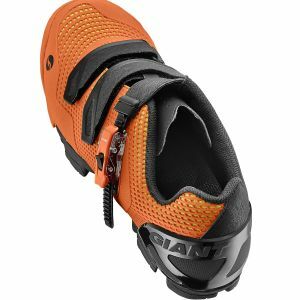 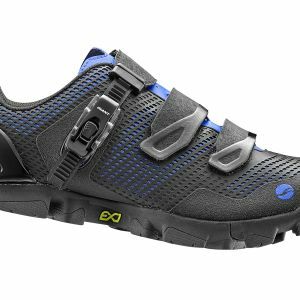 Built-in flex zone allows the toe area of the shoe to move independently of the main ExoBeam carbon sole to optimize the natural flex of the toes and reduce heel slip on and off the bike. 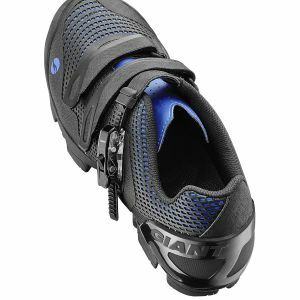 Decreased heel slip means less of a chance of chaffing and foreign objects like small rocks entering the shoe. 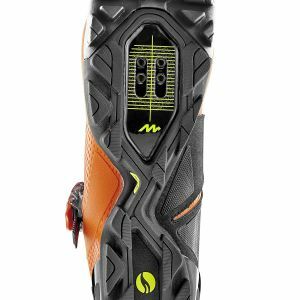 Unique Slip-Last Construction, a process used in high-performance track and field shoes, allows the forefoot to be stiff while enabling torsional rotation of the rear and mid foot. 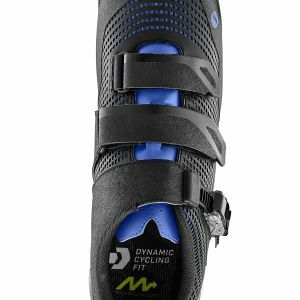 A lightweight, seamless KPU upper material provides excellent protection and ventilation and features a single ratchet buckle system with two hook-and-loop straps to provide simple on-the-fly adjustments. 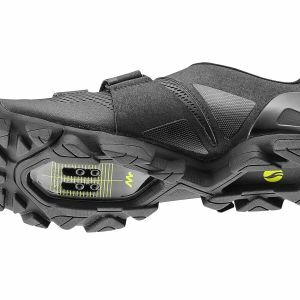 A full-coverage rubber tread protects the carbon ExoBeam plate and offers excellent traction. 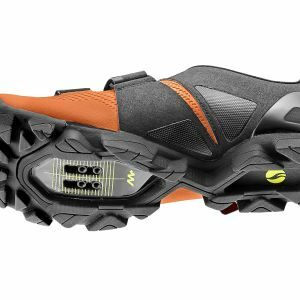 Design also includes an injection-molded TPU heel cover that provides a firm fit without any slip and a toebox to protect the front of the foot from obstacles on the trail. 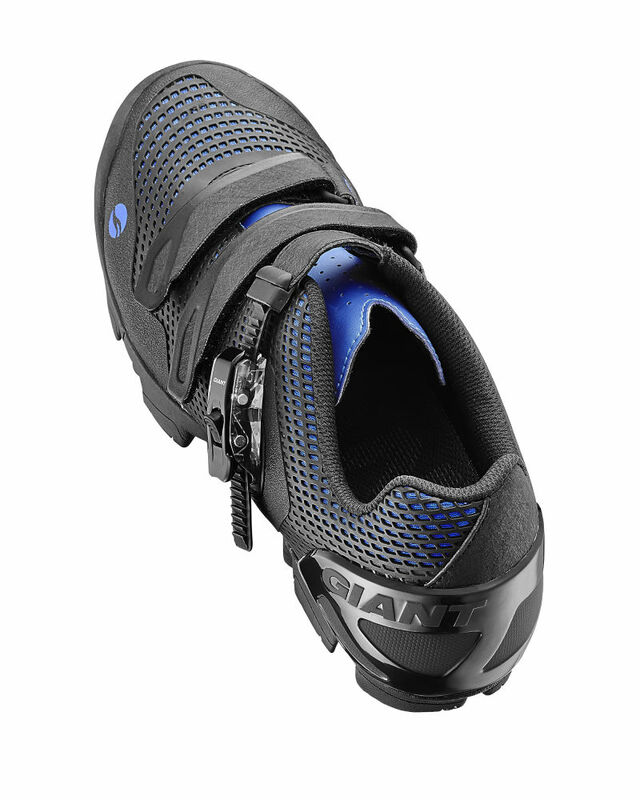 Cycling gear that functions best while in motion.